Time and again we see examples of how magic can be turned into something beneficial, and a voice for expressing personal values. For instance, corporate illusionist/magician Wayne Alan has been voicing his concerns about the dangers of long-term smoking, by integrating his talents. Alan tours regularly with his show called "Make Smoking Disappear", which involves magic and detailed descriptions about the long-term effects of tobacco. Rather than appealing to his typical corporate audience, he now appeals to the younger generation at schools and libraries. He does about 100 magic shows a year on the subject. 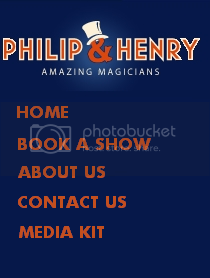 This is a fascinating form of magic that I see a lot of here at Philip and Henry, and it never ceases to amaze me. Shows like this speak volumes about the unique and individual character of each magician.